The work desk top range ECO N2 from REISS allows you to configure very different working environments such as single workplaces or open-plan offices. The continued development of the proven ECO N range excels due to its modern design, improved sustainability and optimised performance characteristics. 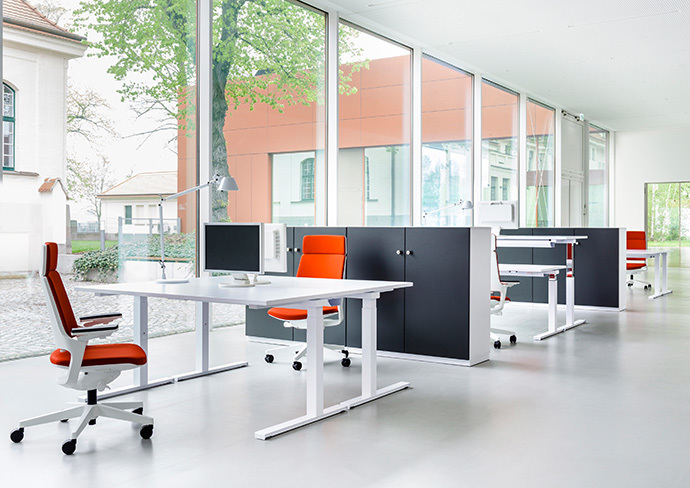 REISS ECO N2 models are based on a straight-lined, modern desk frame with a traversing system of modular design. By using a slender design with engaging desk top carriers, the desk looks light and as if it were almost floating. This thoughtful design radiates a sense of elegance, which supremely fits itself into every type of office atmosphere. The cross piece provides a stable connection point for accommodating add-ons such as computer holder, appliance shelves or leg covers. REISS CONNECT 8, the newly developed organisation and cable bushing module, simplifies the adaptation of privacy and acoustic screens so that they fit the desk top and improves cable management. REISS considers the subject of ergonomics to be very important. 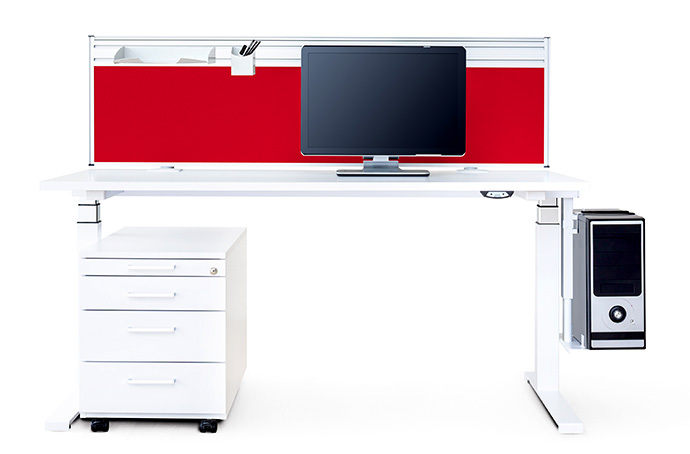 ECO N2 work desks are height adjustable, from sit-stand models with easy-running, quick lift lever or crank adjustment, or a programmable, motorised fast adjustment. This option provides a working height from 650 mm up to 1,250 mm. 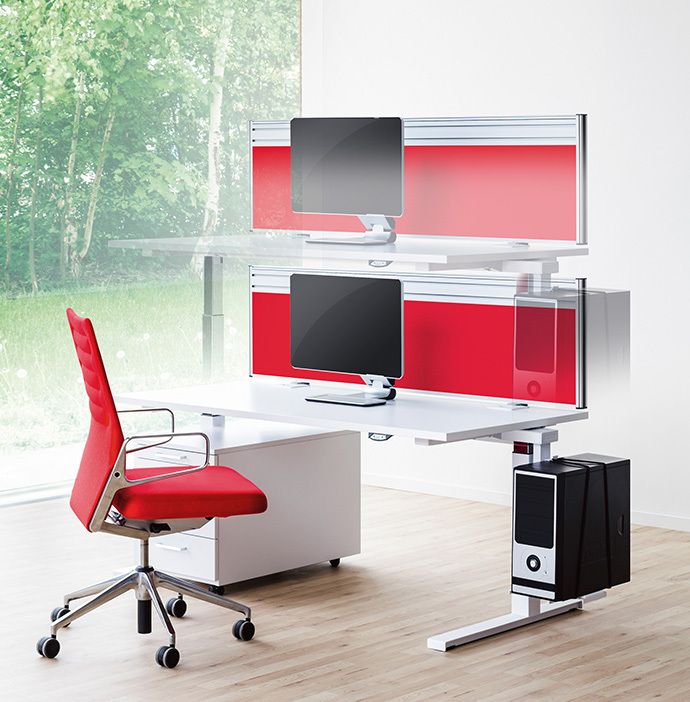 Available for all desk types are many different décors, frame colours, table top shapes, interconnecting and practical add-ons. Functional options and other design features are fully customisable so that there no set limits to creativity. 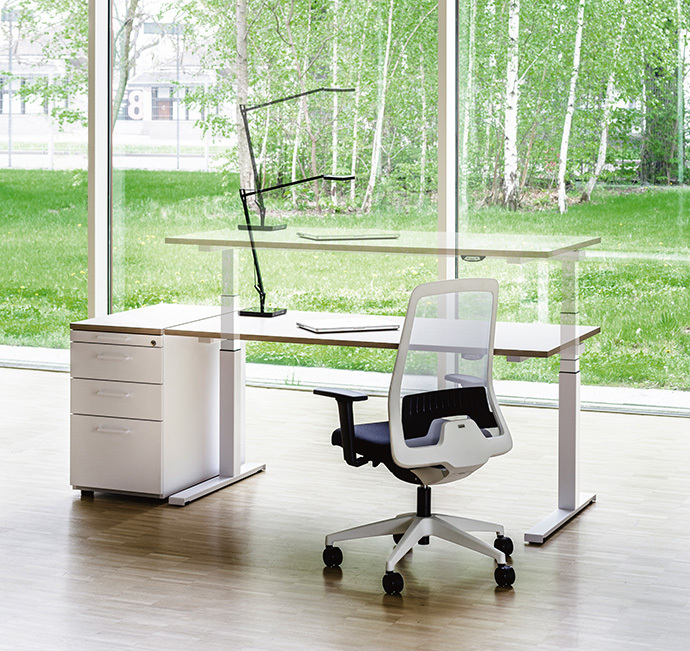 REISS ECO N2 is a work desk range that is fully up to date in all respects. ECO N2 is also modern and future-orientated in another respect: REISS attaches great importance to an environmentally compatible production and sustainable products. REISS is certified according to EMAS III, one of the most demanding international systems for sustainable environmental management. Durable, high quality surfaces, sustainably produced wood products, textiles with EU eco label and complete, single-type recycling are not only some of the particulars of the ecological responsibility of the manufacturer.